Size? have been very busy celebrating their 10th anniversary this year. They’ve been celebrating in no other way than teaming up with big time brands to create some special collaboration footwear. Next to step up for a collaboration with Size? 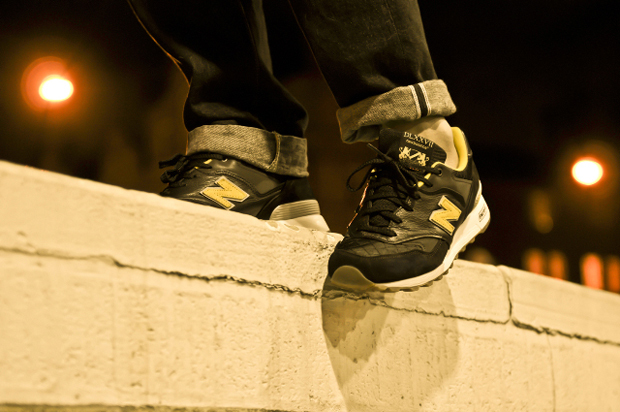 is New Balance. The two names, Size? 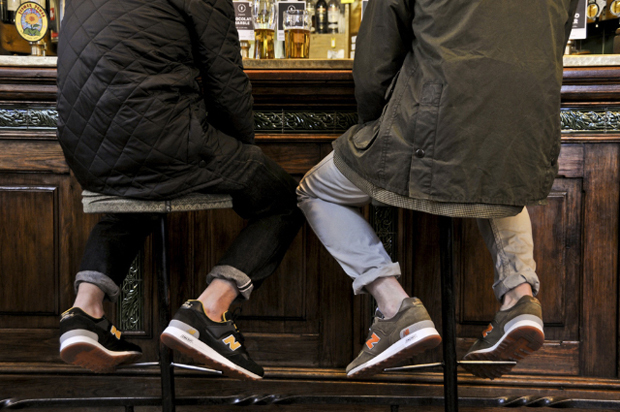 and New Balance, automatically radiate ‘UK’ vibes with both parties originally being from our humble home. 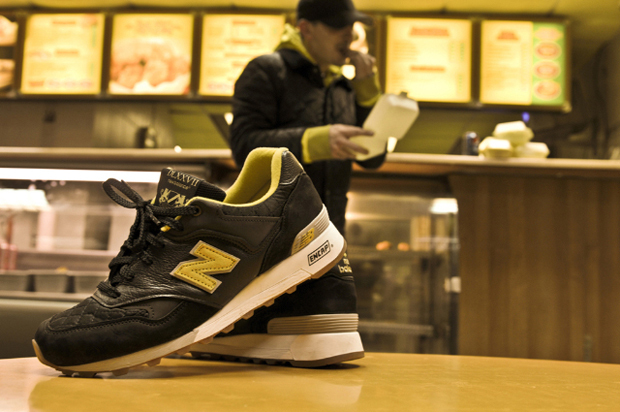 In fact, New Balance is one of the only remaining brands in the UK that still produces footwear. 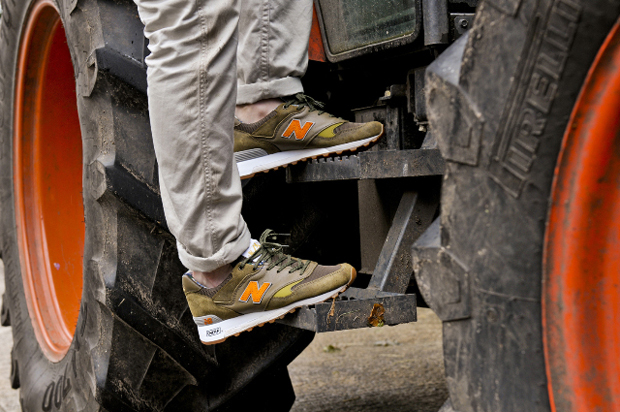 New Balance know how to utilize premium materials, combine that with the creativity of the Size? crew and you get the ‘Estates Pack’. 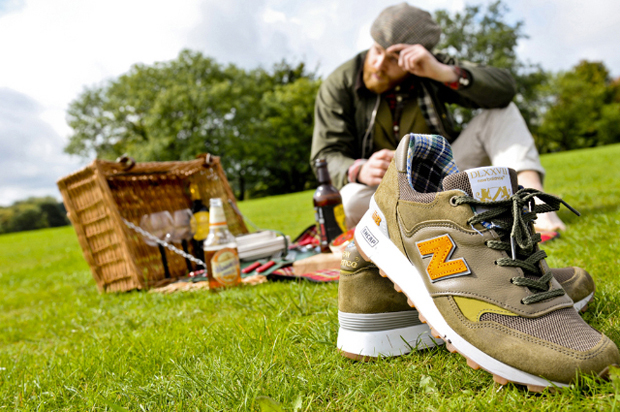 Could it get anymore British than the name ‘The Estates Pack’? 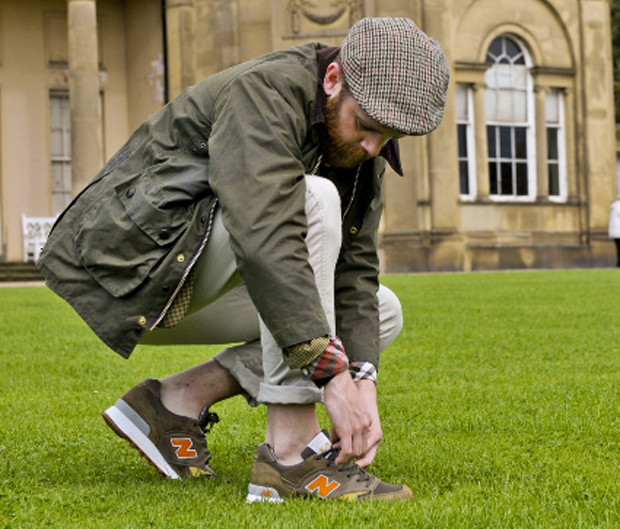 English heritage is the theme on these shoes, coming in a mixture of materials which include, waxed cotton, quilted nylon, felt, leather and a good ol’ gum outsole. 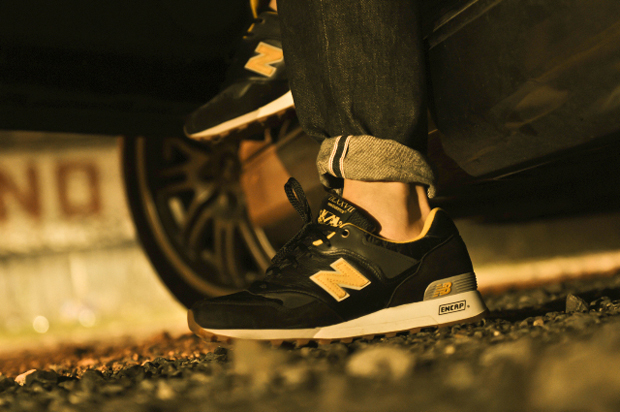 The colour ways are well on point, coming the choice of black/yellow and olive/orange. Each shoe features a Size? 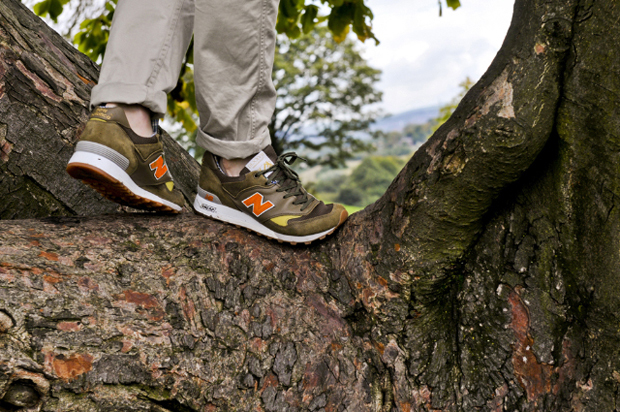 family crest on the tongue, surely a nod to the traditional manor houses out in the sticks and royal heritage. The phrase ‘Shoes Maketh the Man’ around the crest sums it up. The final touch is that these were made in England. In my opinion, ‘The Estates Pack’ is one of the best Size? collaborations we’ve seen so far. Available from Size? stores on 2nd of October 2010. Amazing….shame they’re so limited IMO.